Freshly decorated apartment, based in central Brighton, a short walk to the shopping center, pubs, clubs, restaurants and many others, 5 minute walk to the beach and to Brighton's attractions for example Brighton pier, I360, Brighton center and many others if you want to walk to all the best places in Brighton and not have to pay for taxis or get bus then this is the place for you. 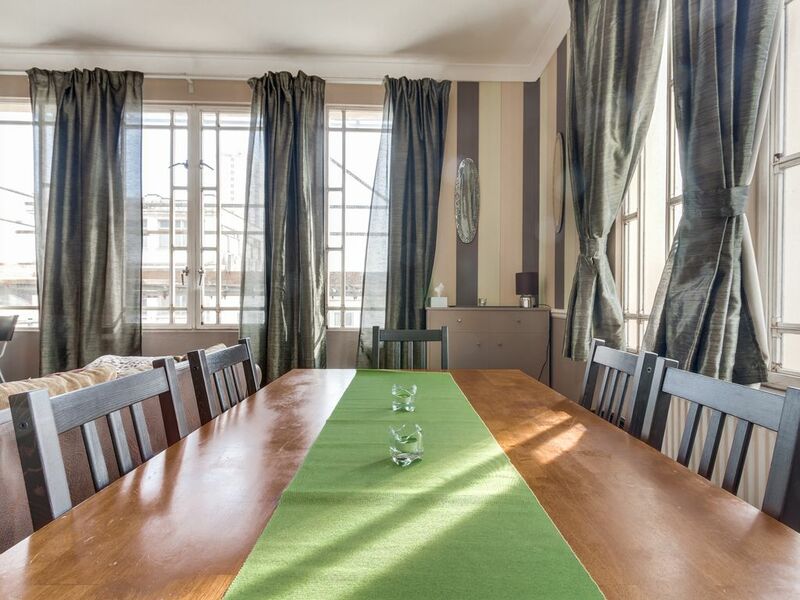 Hi my name Is Mike I am a local to Brighton and i am very pleased to be able to offer my lovely apartment for certain times of the year for your enjoyable break in Brighton. I have over 15 years in the hospitality trade and am sure that you will be delighted with your stay at Central Apartments. Owner was very helpful and good with communication. The flat was much smaller than we had expected and in need of some decoration and tlc. Well positioned for easy reach of the beach and shopping although directly alongside McDonalds and KFC which is not shown in any photo or blurb. All basic items like towels, toilet rolls etc provided . A little disappointed . Was big enough for 4 grown people. More than enough space. Owner was very helpful with everything. We all had a wonderful time. This apt is in the central part of town. it is a bit noisy so you need to be prepared for that. I think no matter where you are in Brighton you will get the noise unless you are out of town. This is so centrally located and everything is within 5 minutes walk. The owner is very responsive and apt is clean and bright. Had a fantastic stay . Lovely apartment. With all you could ask for, clean , cosy, comfy beds. Excellent facilities. 5 minute walk from the beach . 2 minute walk to the shopping centre. The owner Mike is very responsive to any questions and extremely helpful . I would recommend this property to anyone visiting Brighton. The apartment is right in the city centre with loads of shops and activities on your doorstep. Brighton Marina is a short bus ride away and there you can experience all kinds of boating and fishing activities. Bank Holidays and local festivals/events cost more. Please inquire first for a quote.